The game is similar to UK’s 3-card brag. The following are some of the rules to observe when playing. 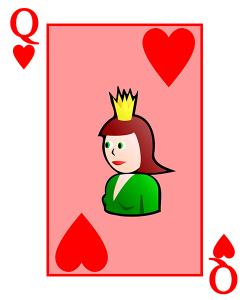 The highest cards are Aces and number two cards hold the lowest rank. Players try to have the most powerful three cards and to get the most from the pot. The highest rank is Trail. It is also known as three of a kind. The combination has three cards of the same rank. A combination of aces is the most powerful. Other categories include straight flush, sequence, colour, two of a kind, and high card. On the first round, players can choose the dealer randomly. In the next rounds, the winner of the previous hand becomes the dealer. The pot, which is the amount of money to be won, stays on the table. One everyone has their cards, they pay for a boot which goes to the pot. Layers may choose to look at their cards before playing. They are called ‘seen players.’ Those who choose to bet before looking at their cards are ‘blind players.’ the requirements for blind and seen players are different. If a blind player chooses to see their cards, they become a seen player and have to play by the rules. The game ends after all players except one fold their cards. The remaining player is the winner and they get the pot. It does not matter what card combination they have. The game may also end with a show. A show can only happen when there are two players left in the game. If there are two blind players, one of them can pay the current stake to get a show. The current stake represents the amount in the stake that the previous player placed as a bet. A blind player can request for a show from a seen player at half of the current stake. A seen player asking for a show from a blind player pays double the current stake. A seen player asking for a show from another seen player pays the current stake amount. In all the cases, a blind player may only see their cards after paying for the show. A show is a situation where both players lay their cards on the table to determine which one of them has a stronger combination in terms of ranking. The player with the higher ranking wins. If, however, the combinations are equal in rank, the player that paid for the show automatically loses the pot. It is no possible to request for a sideshow unless both you and the player that placed a bet before you are seen, players. The player does not have to accept your request if they do not want. In that case, you need to bet to keep playing. You can only ask for a sideshow if you can pay for the current bet. If the other payer accepts your request for a sideshow, you take a private moment to compare your cards. The player with the lower ranking must fold on their next turn to play. If you have equal combinations, the player who requested a sideshow has to fold.